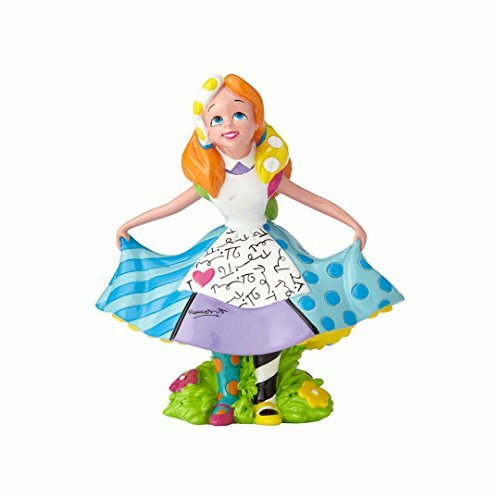 Lovely figurine of Alice bowing. 3.875 inch high. 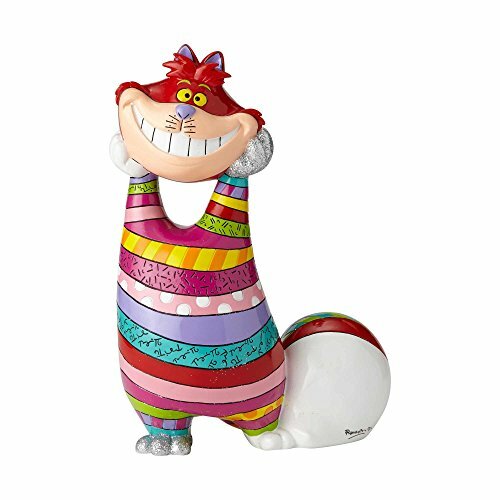 Not your average Alice figurine, this cheeky design features Romero Britta’s signature pop colours, patterns, and graffiti elements. Our flaxen-haired heroine lifts the sides of her skirt as she curtsies entreatingly before the Queen of Hearts. 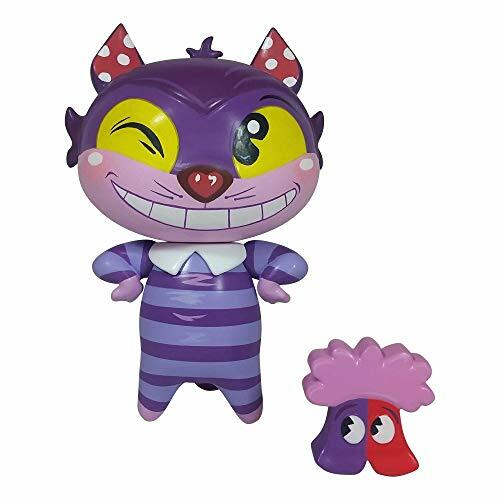 Cute ornament of Alice and the Cheshire Cat on either side of the door with the talking doorknob. 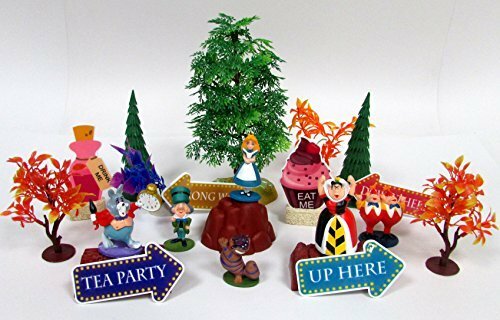 6 Plastic toy figures that can be used for lots of things, for example as cake toppers on your Unbirthday cake! 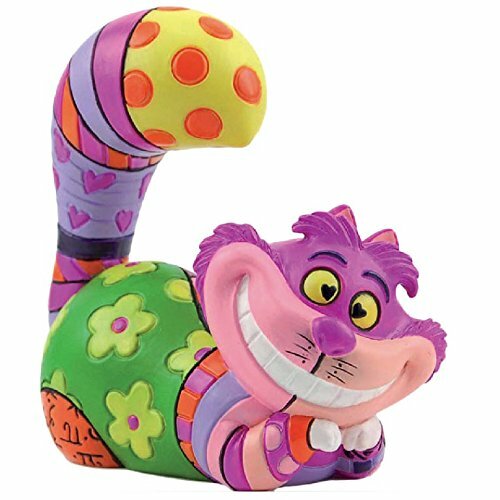 Colorful figurine by Britto, of the Cheshire Cat lifting his head.